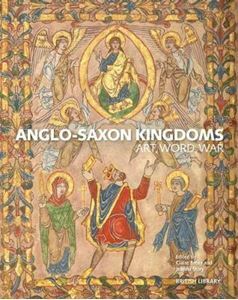 Quick overview This richly illustrated new book - which accompanies a landmark British Library exhibition - presents Anglo-Saxon England as the home of a highly sophisticated artistic and political culture, deeply connected with its continental neighbours. This richly illustrated new book - which accompanies a landmark British Library exhibition - presents Anglo-Saxon England as the home of a highly sophisticated artistic and political culture, deeply connected with its continental neighbours. Leading specialists in early medieval history, literature and culture engage with the unique, original evidence from which we can piece together the story of the Anglo-Saxon kingdoms, examining outstanding and beautiful objects such as highlights from the Staffordshire hoard and the Sutton Hoo burial. At the heart of the book is the British Library's outstanding collection of Anglo-Saxon manuscripts, the richest source of evidence about Old English language and literature, including Beowulf and other poetry; the Lindisfarne Gospels, one of Britain's greatest artistic and religious treasures; the St Cuthbert Gospel, the earliest intact European book; and historical manuscripts such as Bede's Ecclesiastical History and the Anglo-Saxon Chronicle. These national treasures are discussed alongside other, internationally important literary and historical manuscripts held in major collections in Britain and Europe. This book, and the exhibition it accompanies, chart a fascinating and dynamic period in early medieval history, and will bring to life our understanding of these formative centuries.